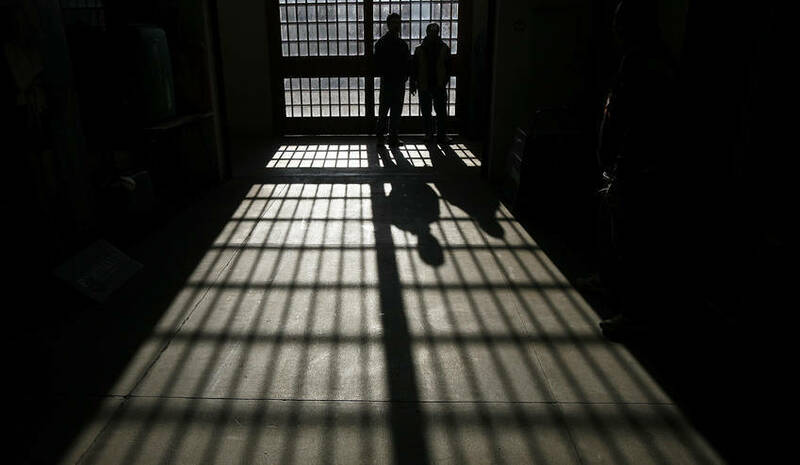 Prisoners serving life sentences in prisons around South Africa are protesting continued backlogs in parole considerations, with some embarking on hunger strikes. Prisoners in Barberton prison in Mpumalanga, St Albans in Port Elizabeth, Groenpunt in Vereeniging and others who were sentenced to life imprisonment before 2004 went on hunger strike at the beginning of this month calling it a “National Shutdown in SA prisons”. More strikes are expected in the future if the backlogs continue and inmates are not provided with a date for their parole hearings. The issue of parole is explained in Section 73 of the Correctional Services Act states that an offender serving a sentence of more than 24 months must serve half of the sentence before being considered for parole. However, for lifers a minimum of 25 years must be served before parole can be considered. He says the cause of discontent for these lifers are two constitutional Court judgments called the Van Vuuren and the Van Wyk judgments which apply to lifers sentenced before 2004. In the 2010 Van Vuuren case, the judge ruled that these lifers could be considered for parole after serving 20 years. The Van Wyk judgment delivered in the North Gauteng High Court in 2011 ruled that the same lifers would also be entitled to an earlier parole date based on a credit system in terms of Section 22A of the CSA. “This meant that immediately, the 20 year consideration date was (cut short) by six years and eight months,” says Nxumalo. The inmate says since the strike has started some prisoners have had their parole portfolios evaluated and will appear before the parole board in coming months. However, it is a slow process. In Groenpunt the Head of Centre, Eric Sekele, and the Case Management Committee (CMC) met with lifers earlier this month. The WJP received correspondence from an inmate in Groenpunt prison who does not wished to be named because he fears his parole application will be compromised. He said the Head of Prison and the CMC addressed those who were sentenced before 1 October 2004, saying they must be released before the end of this year. He added, however, that the Assistant to the Area Commissioner told inmates their parole delays were not Groenpunt Management’s responsibility but rather that of the National Council for Correctional Services (NCCS). The main function of the NCCS is to advise the Minister of Justice and Correctional Services (Masuth) on policy developments regarding the correctional system and the sentencing process, including parole matters. Because of this perceived lack of assurances from the Area Commissioner, the prisoner said 110 lifers embarked on a hunger strike until the relevant office addressed the inmates. “We are not going to rest until we get what is right for all of us” he says. After consultation with the relevant offices late last month, the prisoner says three lifers in Groenpunt prison have been provided with dates for their hearing with the parole board. It is not the first time prisoners sentenced to life have protested. Mid-last year inmates embarked on a similar national strike. The DCS has also been pressured to alleviate parole backlogs through numerous court cases. In November 2017, 90 lifers in KwaZulu Natal also took the DCS to court over a claim that they were eligible for parole because they committed their crimes before 2004 but due to court delays were only sentenced after October 2004. The Durban High Court ruled in the prisoners’ favour but the DCS appealed that ruling, claiming the justice system did what it needed in order to make sure their cases were dealt with correctly.